I have been asked many times regarding pronouns. It seems to be a simple thing, but somehow Thai pronouns are a little bit complicated since they are so many words to use. Today I would like to talk about the pronouns “I” which vary on age, social status, gender, the relationship between speakers, the formality of the situation and individual personality. First of all, please forget the words “ดิฉัน, ดิชั้น [dì chăn, dì chán]” because nobody uses these words in normal circumstance in the present day anymore. (Unless you are talking to members of royal family) If you heard anyone uses them please let me know. “ฉัน หรือ ชั้น [chăn or chán]” : ฉัน[chăn] sounds old fashioned, so out of the above four words you will hear Thai people use only ‘ชั้น [chán]’ which is commonly used by females. Some males use ‘ชั้น [chán]’ when talking to close female friends or relative. When to use ชั้น [chán]: It is mostly used among close friends, and some female elderly use when talking to younger people or strangers. NOTE: Some Thai men use ‘chan’ when speaking to “very close female friends” , not to men nor older and younger women. For example, My little brother refers to himself as ‘chan’ when he is speaking to his close female friends, sometimes he uses ‘chan’ when speaking to me although I am older, but this is an exception since we are very close. It is used by males only. When to use ผม [pŏm’]: It is general pronoun that can be used in most situations, ranging from polite to intimate, but it is not used with young children. I think most people understand that ‘เรา [rao]’ means ‘we’ only, it also means ‘I’ used by both males and females. When to use เรา [rao]: It is mostly used when talking to friends in the same age. 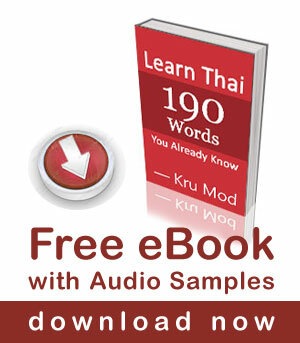 When to use เค้า [káo]: It is used by both males and females when talking to very intimate person i.e. your boyfriend or girlfriend. My little brother, sister and I sometimes use เค้า [káo] when we talk to each other. หนู [nŭu] literally means mouse. It is also a pronoun used by children or females. When to use หนู [nŭu] : Children use it when talking to adults, some girls and young women use it when talking to superior, for example, female students to teachers, secretaries to bosses, etc. I don’t use it anymore though. This word is not polite, but both females and males use it when talking to very close friends, and it is fine. Please don’t use it if you are not sure who to use it with, it is very rude. Some people use it when they are very angry. 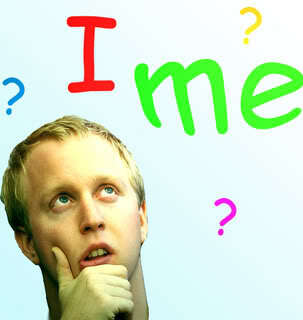 Personal names or nicknames are also commonly used as personal pronouns. It is very commonly among women, but much less among men. When to use nicknames: It is commonly used by young females talking to adults. I use it all the time when talking to other adult people. Kin terms are commonly used as pronouns. For example, a father will refer to himself as พ่อ [pâw] ‘father’ rather than ผม ‘pŏm’ when talking to his son. Are there any more gender neutral pronouns (like rao) and particles (like krab/ka)? I have a few good friends who are non-binairy. The use of the language depends on the context of the situation. My friends who were born a boy and doesn’t dress up like a woman, they address themselves with their nickname and use ‘krap’ at work but with friends they use “chán” with close friends and “rao” with not so close friends. For those who dress up like a woman, they speak like they are a woman. For girls who dress up like a man,they also speak like a man. What about “Jaa” instead of “Ka” or “krub”? “จ้ะ jâ” is usually used by female speaker and use when talking to friends in the same age or younger person or children. Male speakers can use ‘jâ’ when speaking to a younger female. Wow. Thanks a lot Kru Mod. This is the most enlightening lesson I ever had about Thai pronouns and when to use them.